We all know that Collagen is the building block of younger looking skin, and nowadays you don't just have to slather your face in a heavy cream to reap the benefits. Collagen in supplement form is said to work from the inside out, supporting smoother and firmer skin, promoting raidiance and helping to reduce the appearance of fine lines and wrinkles. 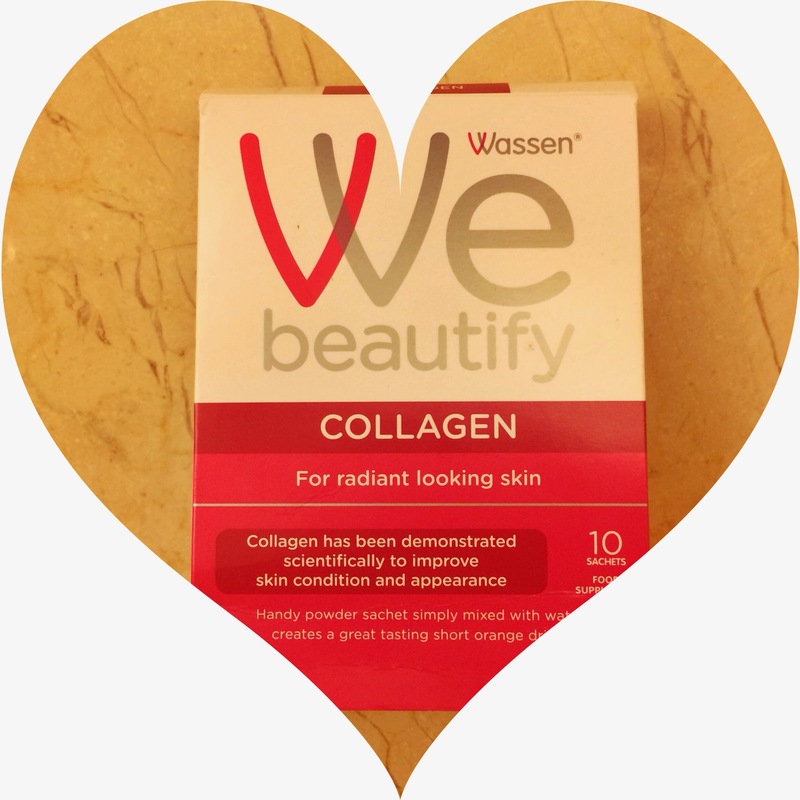 A couple of weeks ago the lovely people at Wassen sent me a trial of their new 'We beautify' Collagen drink. Wassen are a company that have been providing high quality nutritional supplements for over 35 years globally, and so I was excited to be involved. And as a flight attendant whose face has probably seen a little too much of Mr Sunshine and his harsh rays, I was eager to accept the challenge and see any benefits for myself. 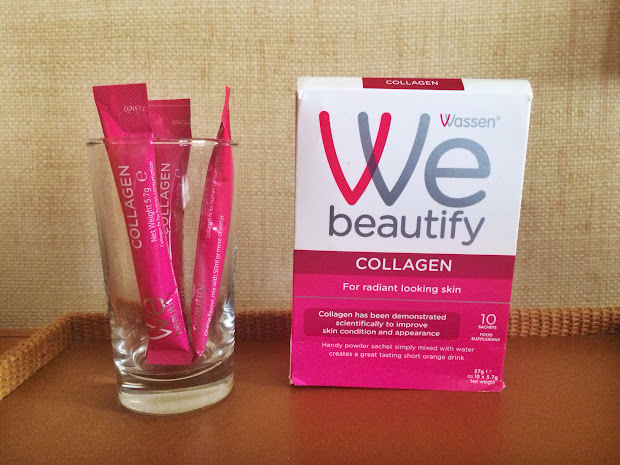 I recieved a 10 day trial, containing 10 handy individual sachets of Collagen powder, one to be taken each morning. The difference between this Collagen drink and others on the market is that you mix the powder into water yourself at home, which creates a great tasting little orange drink. Because of this DIY element, you dont need to pay a premium for added water and packaging, making the price extremely competitive compared to other Collagen drinks on the market. It also contains added Vitamins C and E which is great, especially at this time of year. I enjoyed the fact that the Collagen came in this powdered form, as it made it possible for me to take away on my most recent work trip to New York. 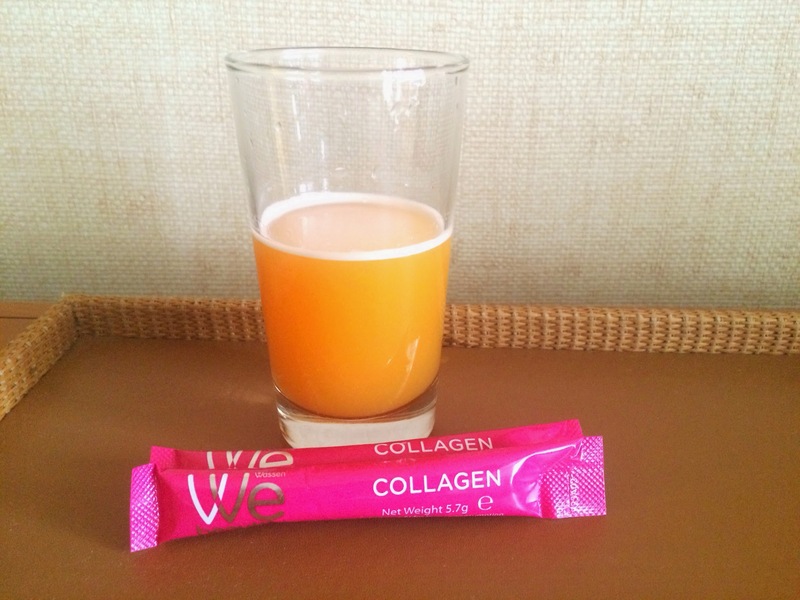 If the collagen had been pre-mixed with water, this would have been a problem with liquid restrictions at airports and so I much preferred being able to mix the little orange drink myself! Mixing the drink each morning was easy, the powder dissolved well and I actually liked the way that the product tasted. At 27, I luckily don't have too many fine lines or wrinkles just yet, I am more interested in using collagen as a preventative measure. That said, I noticed that around the 7 day mark my skin was looking extra radiant, and much plumper and healthier. I feel that with prolonged use this product could definitely make a difference to fine lines and wrinkles. I certainly felt it gave my skin a healthy glow from within, even with only 10 days of use. Wassen recommended this product is taken over 4-8 weeks, and so I was impressed to get results after just 10 days. I have already recommended this product to my friends and family, and it's certainly something that I would like to continue taking to maintain my skin and prevent wrinkles. You can find out more and buy the product directly from Wassen Here. You can also buy the Collagen drink from boots Here (it's currently included on a 3-2 offer) and the price for a 10 day trail like mine is £19.99. Have you ever tried taking Collagen in this way? Did it work for you? I'd love to know in the comments.. I never took Collagen as supplement. From a medical point of view, the same effect is achieved by increasing the protein intake in your daily diet, and that is what I try to do for several reasons. But glad you noticed a difference! I had seen collagen drinks advertised but had no understanding of how they worked. I was only aware of collagen injections. This was so interesting and informative. Thank you for explaining it so well. Your v welcome! I've actually just bought myself a two week supply, my skin could do with a January boost! Glad you enjoyed this post and thanks for stopping by!